Palliative Treatment for Children (Patch) South Africa is an inclusive and compassionate network that aims to share specialised knowledge, tools and opportunities to ensure the best possible care for children with life-threatening and life-limiting illnesses, and to provide support to families and lay caregivers. 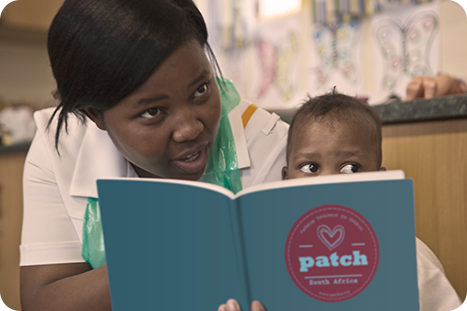 PatchSA welcomes any families, lay caregivers and child-caring professional including paediatricians, GPs, nurses, social workers, allied health practitioners, psychologists, teachers, clergy etc to join the network. Seeks to support healthcare professionals through sharing information and resources, promoting learning opportunities, advocacy and research opportunities. 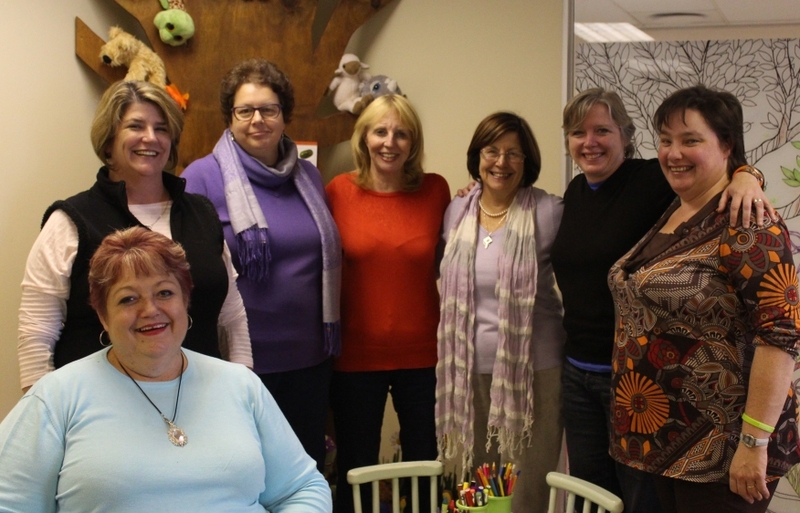 PatchSA welcomes any families, caregivers and child-caring professionals to join the network. Help us help children with non-curable illnesses, and their families, to have the best quality life possible. To ensure the right of every child to access quality palliative care in South Africa. To mobilise and support a sustainable network of individuals, organisations, professionals and caregivers to provide holistic and culturally appropriate palliative care for children and their families from diagnosis to bereavement. To ensure the voice of the child and family informs all activities of the network. To promote care for the caregiver. To be a strong collaborative voice for the right of children to receive quality palliative care. To influence policy development in children’s palliative care. To advocate for the integration of palliative care into all children’s services. To be a source of information on children’s palliative care and service providers. To develop and promote locally appropriate guidelines and standards for children’s palliative care. To provide evidence-based education in children’s palliative care for professionals and caregivers. To signpost research relevant to children’s palliative care. To drive the research agenda for evidence-based children’s palliative care. 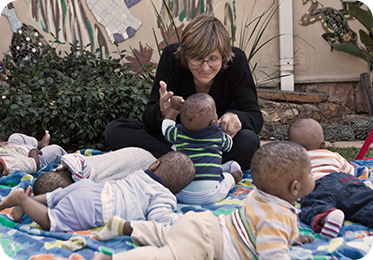 The development of a palliative care network for children in South Africa (SA) was the brainchild of Mrs Joan Marston who is the past Chief Executive of the International Children’s Palliative Care Network (ICPCN). The intention to set up a children’s network was presented to the Palliative Care Society of South Africa (PCSSA) by Dr Michelle Meiring in October 2008. In 2009 the Hospice Palliative Care Association (HPCA), with funding support from the Diana Princess of Wales Memorial Fund (DPOWMF), established a virtual resource centre for children’s palliative care (known as the Baobab PPC website) and also developed community based centres of excellence (known as Beacon centres). In February 2012 HPCA, ICPCN and the Bigshoes Foundation met to discuss how they could work together to extend the reach of quality children’s palliative care in SA and formed the South African Children’s Palliative Care Alliance. The network’s new name PatchSA was officially presented on the 18th of September 2013 to the palliative care community at the joint HPCA and African Palliative Care Association (APCA) conference in JHB. 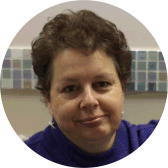 Dr Michelle Meiring is a Paediatrician with a special interest in Palliative Care and Chronic Pain management in children. Her interest in palliative care for children started when she was a registrar at Chris Hani Baragwanath hospital in Soweto at the height of the HIV/AIDS epidemic in the late 90’s. Determined to find better ways to support dying children and their families she started her career in the NGO sector in 2003 and partnered with Hospice Wits to set up 2 children’s hospices. She later became the director of a national NGO called Bigshoes that started hospital based paediatric palliative care services in public hospitals in Johannesburg, Durban and Cape Town. Despite the unfortunate closure of Bigshoes in 2012, the work of the NGO continues in all three provinces. 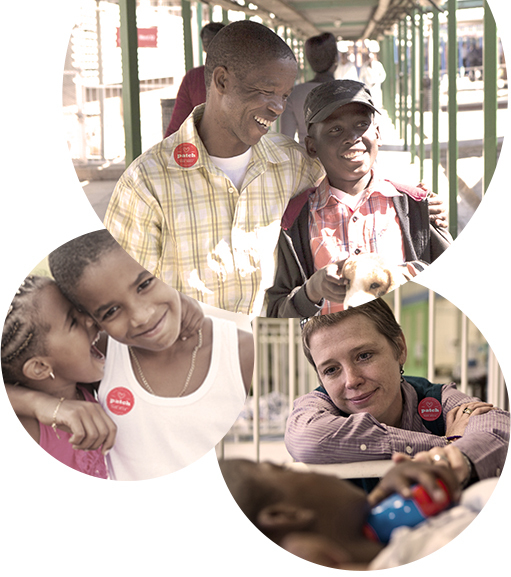 In Cape Town, Dr Meiring founded a new NGO called Paedspal in 2015 that continues to provide a consultative paediatric palliative care service to public and private hospitals in the city. Paedspal also runs a newly established palliative care and chronic pain management clinic situated within Rondebosch Medical Centre across the road from the Red Cross War Memorial Children’s hospital. A keen teacher, Dr Meiring has been involved in the development of paediatric palliative care courses through the Hospice Palliative Care Association of SA (HPCA) and convenes the paediatric elective of the Post-Graduate Diploma in Palliative Medicine at UCT. She also teaches the final year medical students and is involved in mentorship support with 6th years at UCT through the Christian Medical Fellowship (CMF). Dr Meiring has presented at several local and international conferences and has written a number of articles and book chapters on paediatric palliative care and pain management. 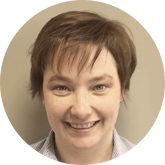 On the research front, Dr Meiring supervises students doing the MPhil in Palliative Medicine at UCT and in 2014 was awarded an Academic Scholarship from Discovery Health to enable her to conduct research in Paediatric Palliative Care toward fulfilment of a PHD. Her hobbies include art and cake making. She is married to Dr Owen Porrill and has 2 children. 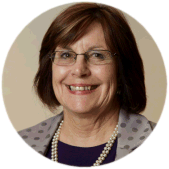 With a background in Nursing and Anthropology, Joan has worked in the field of palliative care for 27 years, with special focus on children’s hospice palliative care for 17 years when she founded the St Nicholas (now known as Sunflower ) Children’s in Bloemfontein in 1998. Previously the Executive Director of Naledi Hospice; the first Advocacy Officer of the Hospice Palliative Care Association of South Africa (HPCA) and their first Paediatric Palliative Care Manager. A member of the WHO ad hoc Technical Advisory Group for Palliative Care ; a Board member of the Worldwide Hospice Palliative Care Alliance; the Elisabeth Kübler –Ross Foundation; EMMS International and the St Nicholas Children’s Hospice. Joan has contributed to a number of textbooks, Journal articles, research and development projects and conferences. She initiated and coordinates an international group looking at palliative care in humanitarian situations – PALCHE. Married to Richard, with two adult children and two grandsons. With a special interest in spiritual care of children Joan is a Lay Minister at the Anglican Cathedral in Bloemfontein and a Lay Canon of Blackburn Cathedral in the UK. I am a person with a disability – paraplegia after a motor vehicle accident and a social worker by profession. Ever since I can remember, I always strived towards the improvement of quality of life for all vulnerable groups and children. My motor vehicle accident many years ago shaped and directed me towards my true passion and calling in life: the disability sector. I have been active and employed in the disability sector for the last 18 years as Social worker, National Social development Manager, and since last year as the National Disability Mainstreaming Coordinator for HPCA. My qualifications include a BA (SW), MBA, a Certificate in Social Entrepreneurship and a Certificate in the Design & Development of learning materials. (Working towards National Certificate Occupational Directed Education, Training and Development Practices). I am also a registered Assessor. I am passionate about the empowerment of persons with disabilities to enjoy their lives to the fullest, through the equal participation and enablement towards optimum quality of life in which adults and children work, live and play. Fiona was admitted as an Attorney of the High Court of South Africa but later changed her career to complementary health. 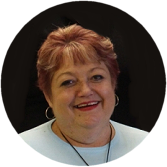 She is registered with the Allied Health Professions Council for both Therapeutic Aromatherapy and Therapeutic Reflexology, and has volunteered for several years at Red Cross War Memorial Children’s Hospital. She is now employed as the Aromatherapist at Paedspal Paediatric Palliative Care (part time) and is the Information Officer for PatchSA. Fiona is married to Howard Pearce and they have two children, Caitlin and Angus. Mother of Samuel John Frederick Platt, a mighty young warrior and one of the bravest little boys in the world. A “Mum graduate” of Neonatal and Paediatric ICU wards, this is who I am, since everything other than being a mother to Sam and a wife to my husband, Fred, pales into insignificance after our fifteen and a half month journey as a family navigating the challenging world of NICU / PICU. Sam’s magnificent, but way too short life, has reshaped who I am fundamentally and has transformed my way of being. Sam’s journey took our family through heaven and hell and included private healthcare and public healthcare. As a family we experienced everything from excellence to abysmal and the gray area in between – through intense love and intense heartbreak – Sam’s story is life changing, and I am now essentially who Sam has shaped me to be – His Mum… Forever changed, forever scarred, but predominantly forever grateful. Because of Sam’s journey I am here to support other families on their journeys and hopefully through my experience and that of my late Son, Samuel, yours can be that bit easier. I am currently enrolled in the Post Graduate Diploma in Palliative Medicine. Huyaam has herself battled with a lifelong condition that causes her constant pain, dislocations or subluxations due to her rare condition-which requires daily medication. Her journey was not an easy one, with her pain being dismissed by doctors and her condition not being fully understood. Imagine seeing doctors, specialists and being told there’s nothing wrong with you or nothing can be done or a direct quote from one of the specialists she saw “I chop people up and put them back together” and as a thirteen-year-old walking out of the room with that in her mind. It was only when Huyaam met Dr Michelle Meiring via Professor Chris Scott (Paediatric Rheumatologist), chairperson of PatchSA and also CEO of Paedspal Paediatric Palliative Care, at the age of thirteen years old, that she found a doctor/specialist who were prepared to listen to her and believe that she was indeed suffering from chronic pain. Huyaam was a patient of Dr Meiring for six years years and ended up becoming the PatchSA Youth Ambassador due to her commitment to palliative care and the burning desire to raise awareness of palliative care and be a voice for those suffering. 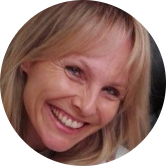 She loves training 6 times a week by doing Pilates and Yoga as well as hydrotherapy with Professor Romy Parker. All her workouts are specifically planned and written out due to her medical condition which needs critical thinking and a well-trained physiotherapist who will not give up on her. She is extremely dedicated in her workout regimes as it helps her continue her daily lifestyle and control pain. Although one may not be to see her condition or disability, it doesn’t make it any less real. 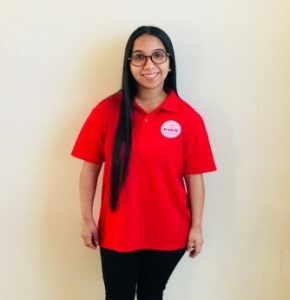 She struggles with sleeping due to pain flare-ups, sometimes hospital admissions when flare ups become very bad and her whole-body spasms and her pain can be debilitating. She is a past pupil of Livingstone High School in Claremont, Cape Town, and will be studying Psychology at the University of Cape Town from 2018, while still representing PatchSA. Copyright © 2016 PatchSA. All Rights Reserved.